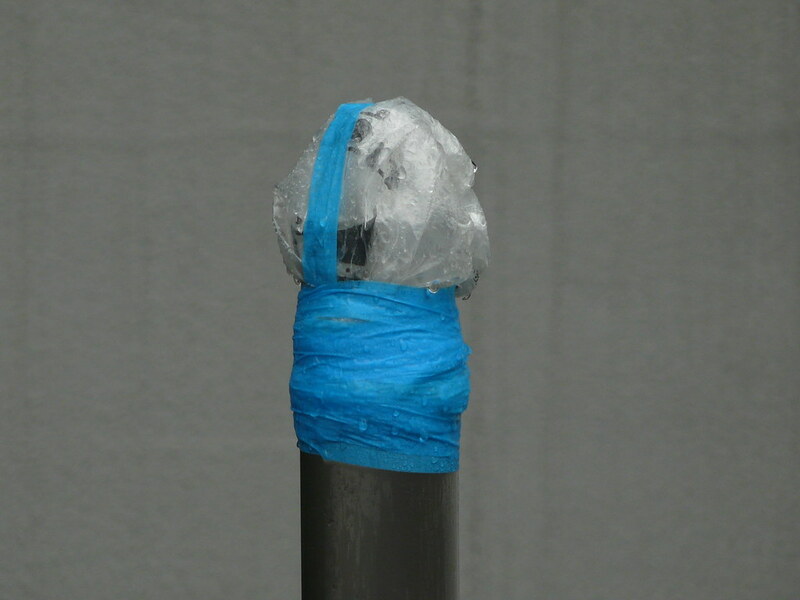 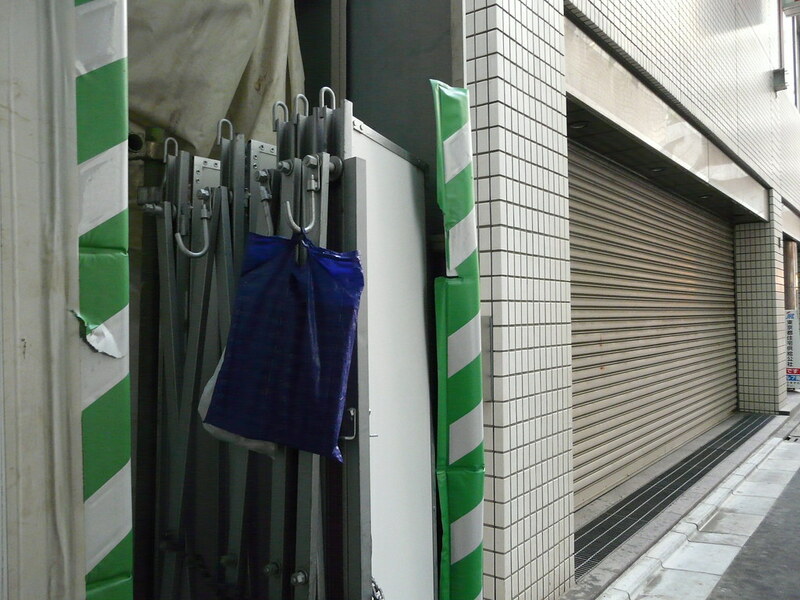 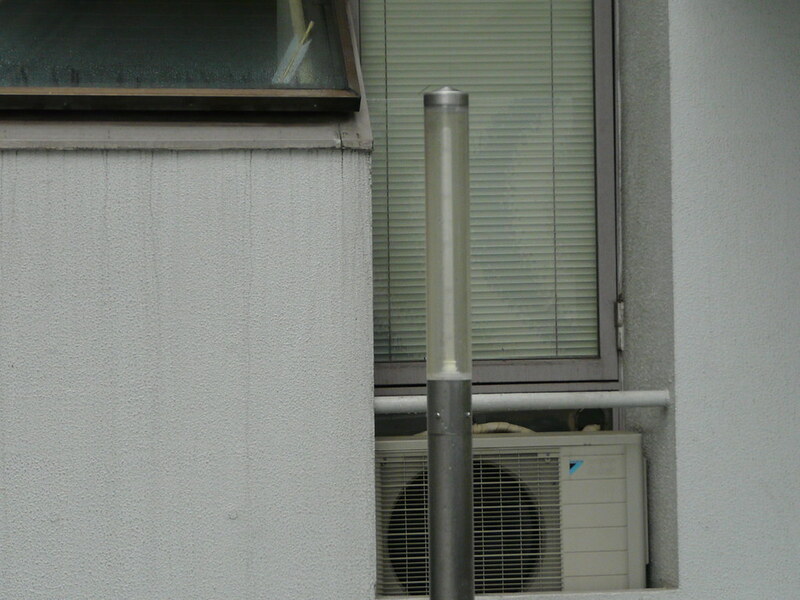 Plastic bag on the hook of a retractable gate serves as a locker for security guard of construction site. 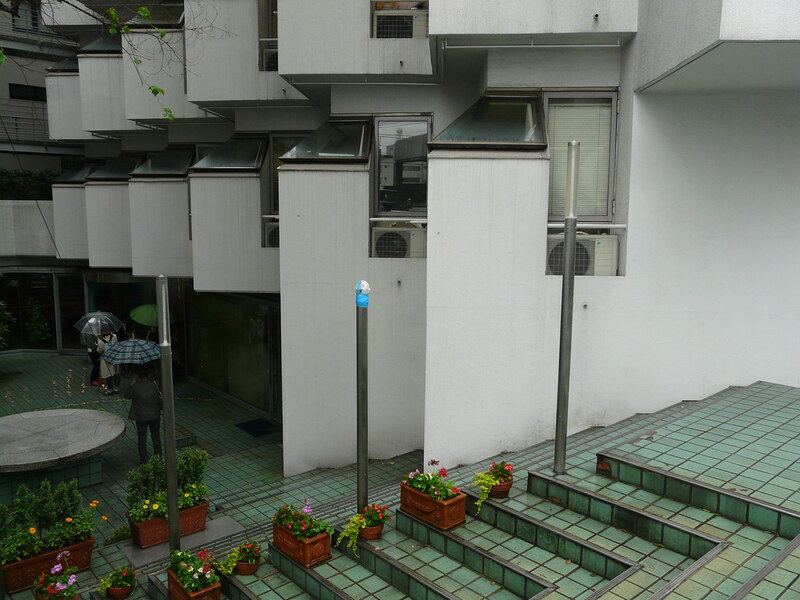 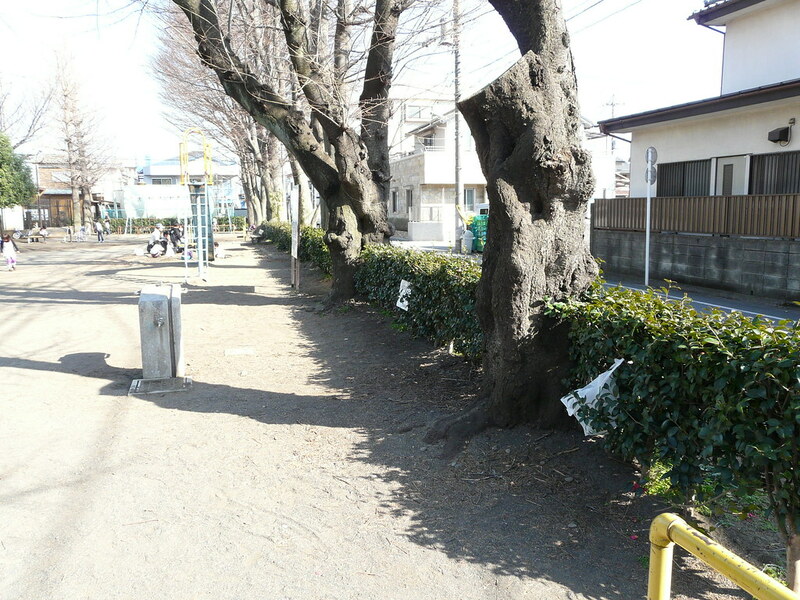 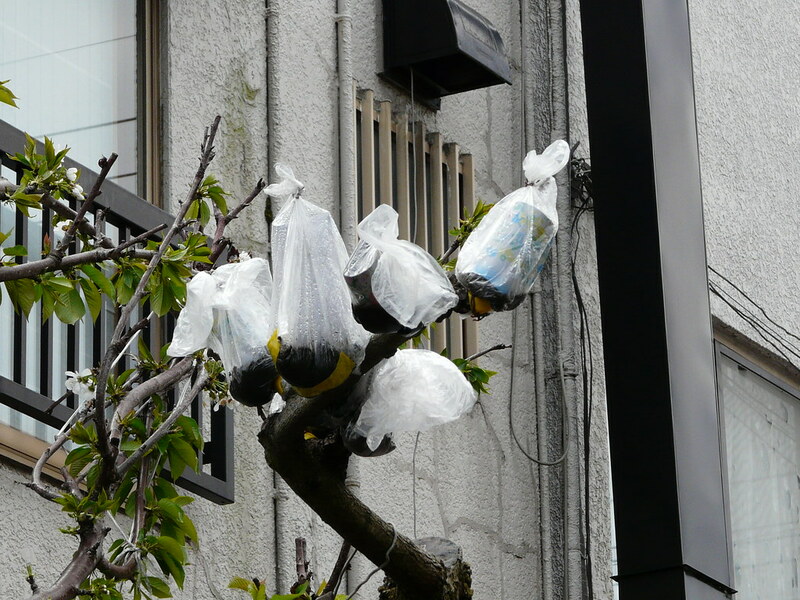 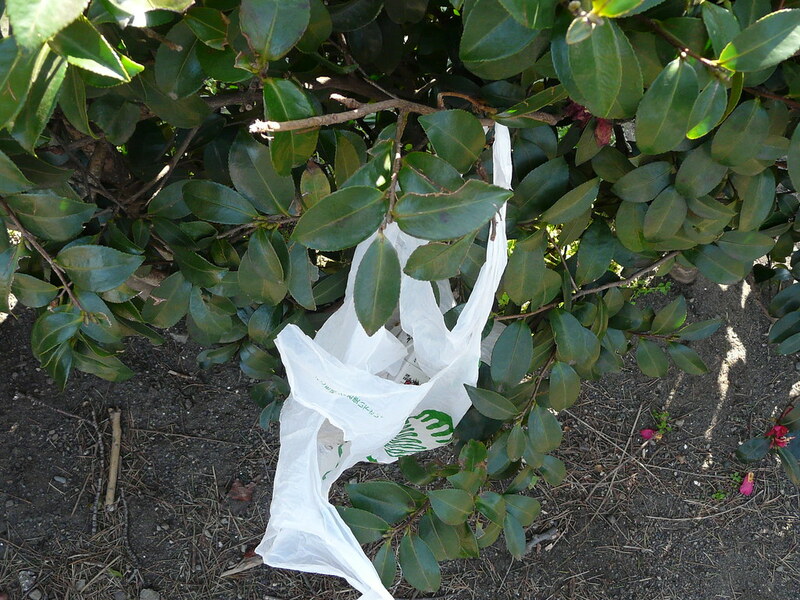 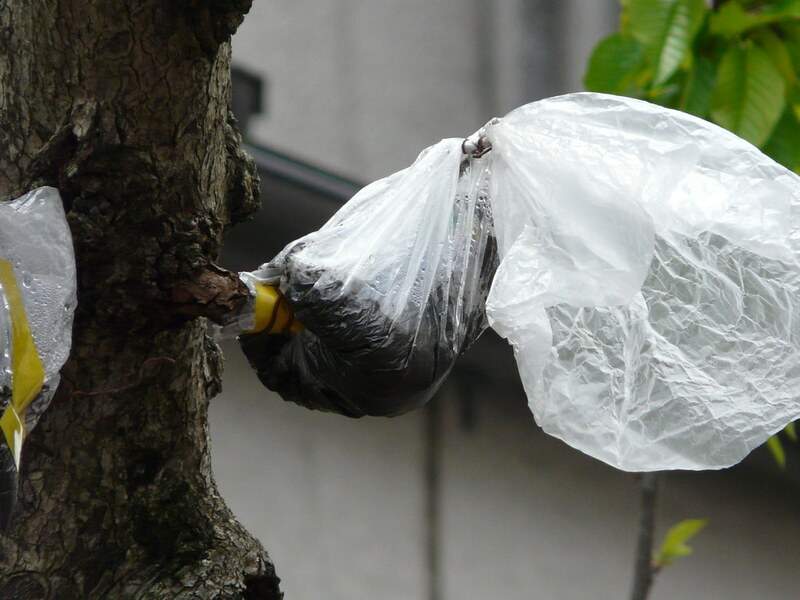 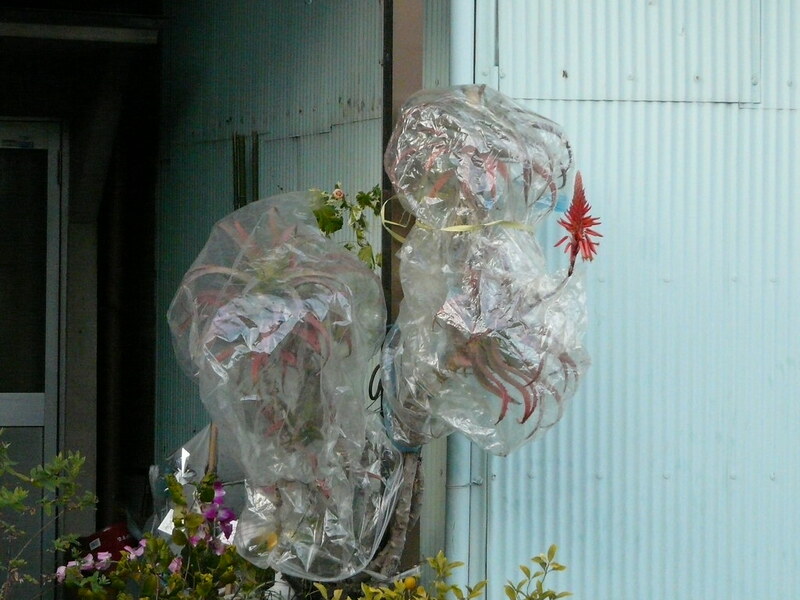 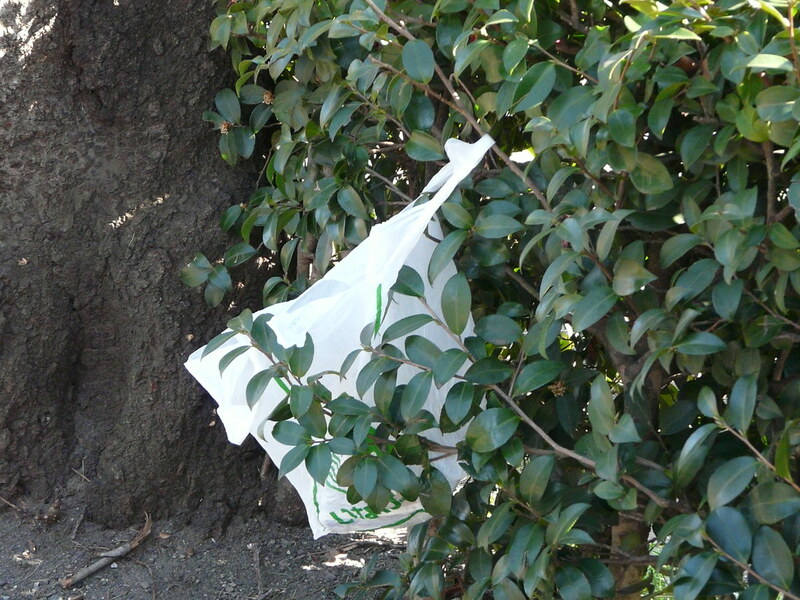 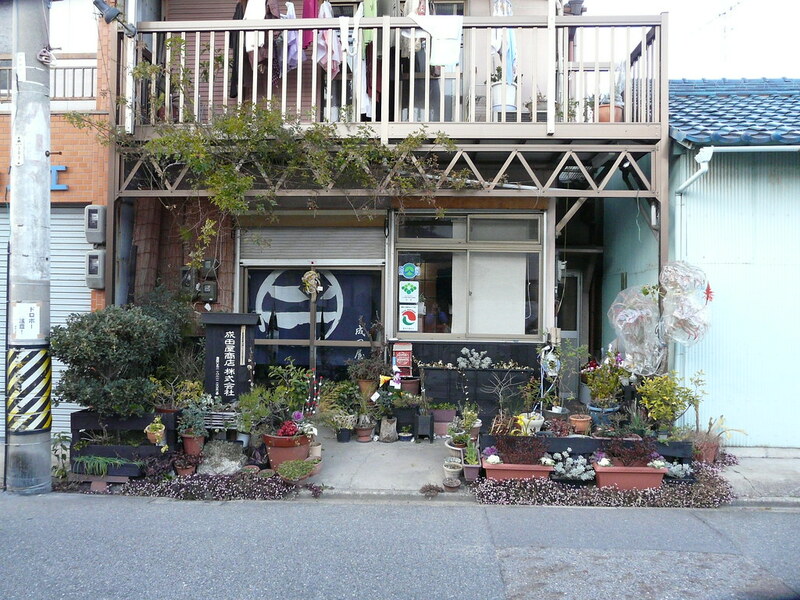 Plastic bags protect tropical plants from the bitter Nagoya winter. 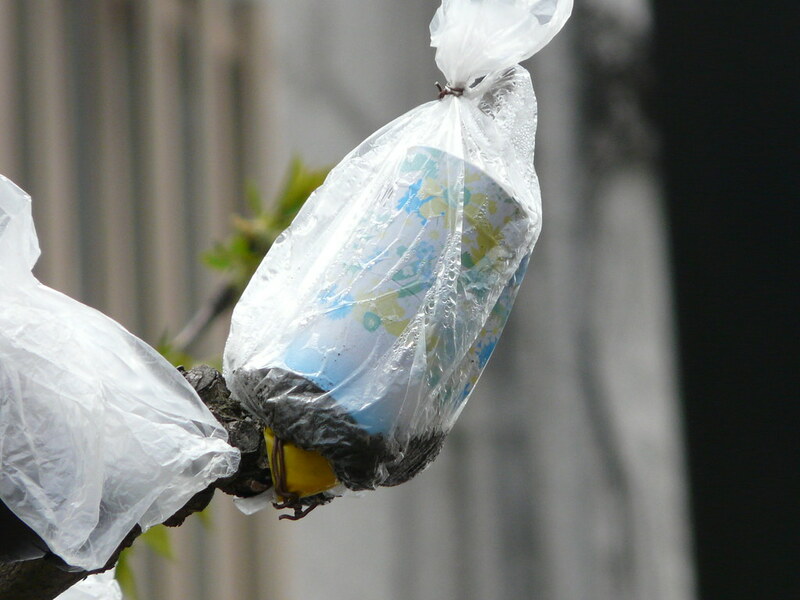 A coffee can and plastic bag protect buds from late frosts.